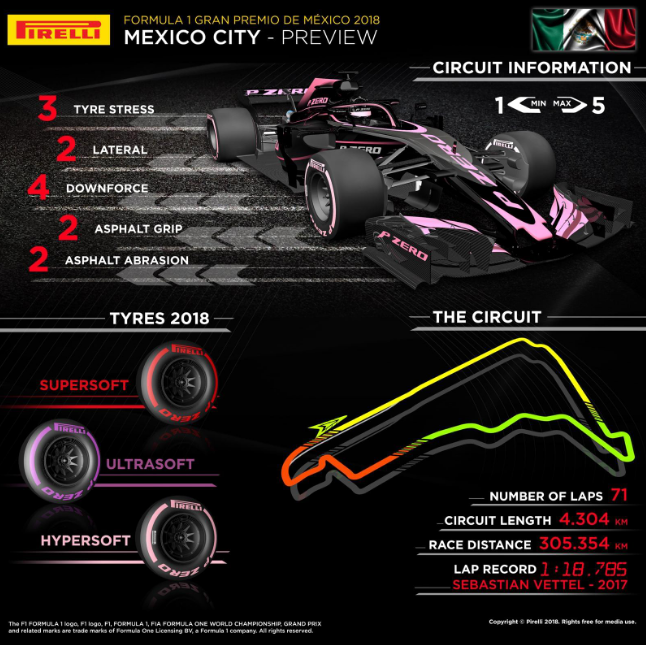 Have to wonder what Renault (Sainz, Hulkenberg) and Sauber (Ericsson, Leclerc) are thinking with their tire choices. Ten sets of Hypers??? For US viewers ESPN is shuffling everything but the race off to their minor channels again. Rain forecast with a 70% chance for qualifying. 23% chance of rain at the start of the race on Sunday but a 70% chance of rain by the time the race finishes. Source: Weather Underground. Of course this is weather forecasting and things can and will change. Still, could make it a very interesting weekend!! Whether they plan a one-stop or 4-stop strategy, the difference is whether they will be lapped once or twice. So it doesn't matter. Rain would be a good thing in the case of Hamilton crossing all the t's and dotting all the i's, if it rains I don't see Vettel winning the race. Vettel on the contrary has had a bad record here. He finished just once on the podium here in the last 3 years! Well I'm sure it matters where they finish in the championships? In scrutinising today the two Ferrari's had different floors fitted suggesting they are going to give the latest one another shot in free practice. Wanna bet RBR gets it to work, but Ferrari ditches it again? Vettel has a 100% record of making some sort of boneheaded mistake in Mexico so far. Considering the season he's been having lately, I think it's a safe bet he'll extend that streak to 4 out of 4. Lol. This is just silly - if you’re implying Vettel isn’t a good driver in the wet. Just because of Germany this year? Vettel is a good driver in the wet, just not a superb one. Over his career he has won a smaller percentage of wet races than dry ones, and there's no question that this year Hamilton has outperformed him in the wet - not just at Germany, but wet qualifying in Hungary, Belgium, Japan... in fact, every single time it's rained this year Hamilton has badly outperformed Vettel. I agree that he has very little chance to win if it rains. Mind you, I don't think he'll win anyway. I think the Bulls will prove too quick. But we'll see! He's done nothing in the wet for the last 2/3 years, Kimi has been quicker a few times. After what has happened recently I would think his number one goal this weekend would be not to get in any clashes with anyone. I mean, the guy is due a good race. I think he'll have one here. So what are the chances of parallel development then, this is surely too much of a coincidence, do we have the possibility of a McLarengate here? Mercedes cleared by stewards to run their "controversial wheels" for the Mexican GP. Haven't they been using these since SPA? And banned for last race, just to be cleared again. Don't think it was banned. Merc blocked the holes as they were concerned Ferrari would appeal to the stewards and they would lose any Austin points won; given the Austin stewards may have taken a different stance on the matter than the FIA. Last I checked, if one finishes lower than 10th place, no points are gained. So it really doesn't matter to a team in the championship. My comments were not based on team perspectives, but from a fan perspective. Fans don't waste time cheering for cars lapped by the leaders. Sad, but true. Yeah, you are absolutely right, I retract that statement, wrong wording. They did it to prevent protests. Really? Should Ferrari then say that the mirror's primary function is to ensure the rear view, so all the aerodynamic winglets on them are ok to have? (very stupid example, but you get the gist). It also still does not explain why did they ban the similar system from RB as mentioned before. I think Martin Brundle said that Lewis has won the last 6 or 7 races that have been affected by rain, so I think it would bode well.. They were not banned Mercedes chose not to run them in view of a protest being put forward by Ferrari, it wasn't worth the risk to run them. Similar but not the same, was that not on the front axle with the sole function of being an aerodynamic aid, the affect is not the same on the rear axle? The RBR system was primarily an aero device to blow the rear, and was deemed a moveable aero device (or something like that). The Merc system as currently implemented is primarily for cooling the rear wheels. In the last 2/3yrs only Merc has won in the Wet, i think it's no coincidence Hamilton has won the races. In what wet race has Kimi been quicker than Vettel genuinely I'll like to know? As far as I know the gap widens further between Seb and Kimi in the wet. I said quicker in the wet you've narrowed it down to just the races. In the wet races, Silverstone 2016, Kimi finished 5th, Vettel 9th 22 seconds behind Kimi. Brazil 2016, Kimi was running well ahead of Vettel just behind the Mercs and Verstappen whilst I believe Vettel was down in 9th? Kimi crashed whllst Vettel finished 5th behind Perez. Monza 2017, Kimi out qualified Vettel, then Hungary 2018 again Kimi out qualified Vettel. Hamilton will be struggling to finish 7th at this pace. Unfortunately for Seb The renaults look mega fast. What a pleasant surprise! Not even remotely close to being true. As if Renaults,McLaren's,Williams and Alonso fans for example have suddenly disappeared for the past few years. You might not care what happens outside the top 6, that's your choice, but there are thousands that still cheer for those and other teams/drivers outside the top 3 teams who routinely get lapped because of their car. 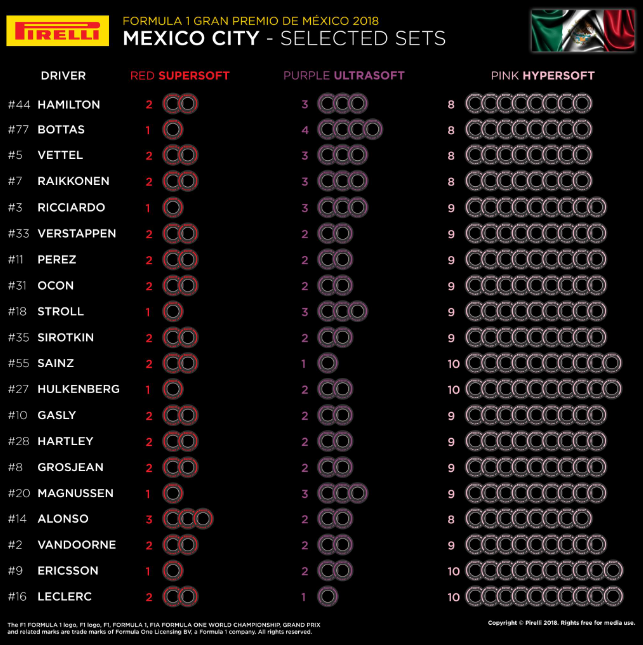 And the tyre choice for Renault is obviously worth talking about as they are in the fight for 4th with Haas so will be trying to score points. Cheered Minardi harder than probably any other team since i've started watching F1 for what it's worth in that argument. God loves a tryer. Exactly, the underdog thing always brings in fans as well. For me the old Red Bull clad Saubers always got cheered on.